Research into and interest in the role of stromal cells in immunology has exploded over the past 15 years. The conventional view that placed non-hematopoietic stromal cells as passive, structural, and supportive entities has now been replaced with an appreciation that these cells have active, dynamic roles during immune responses, and thus impact on the pathophysiology of multiple immune-mediated diseases. 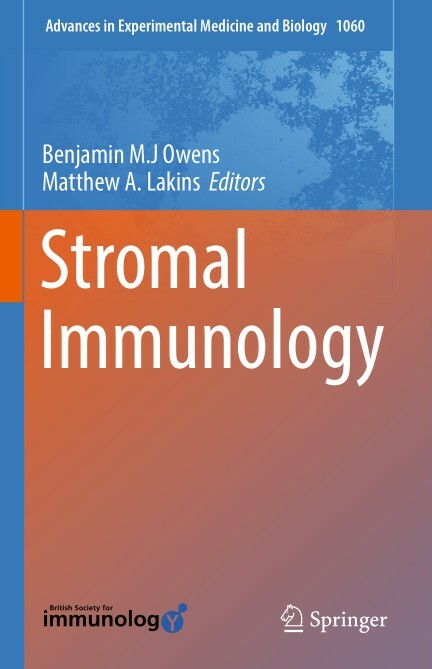 This book serves to provide solid grounding in the fundamentals of stromal immunology, focusing on the biological aspects of their function in addition to highlighting key areas for the development of the field in the future. 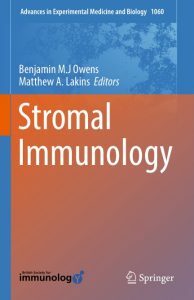 The book is also a unique source of information on emerging concepts that place stromal cells from outside lymphoid organs as major contributors to the biology of diverse conditions, such as rheumatoid arthritis, chronic parasitic infection, inflammatory bowel disease, and cancer.